Posted on January 17, 2017 at 12:00 pm. Every good actor should be prepared to face rejection, and every single one will have been knocked back at one time or another- even the most successful actors. It’s just the way it goes sometimes, but it should never be a reason to give up. 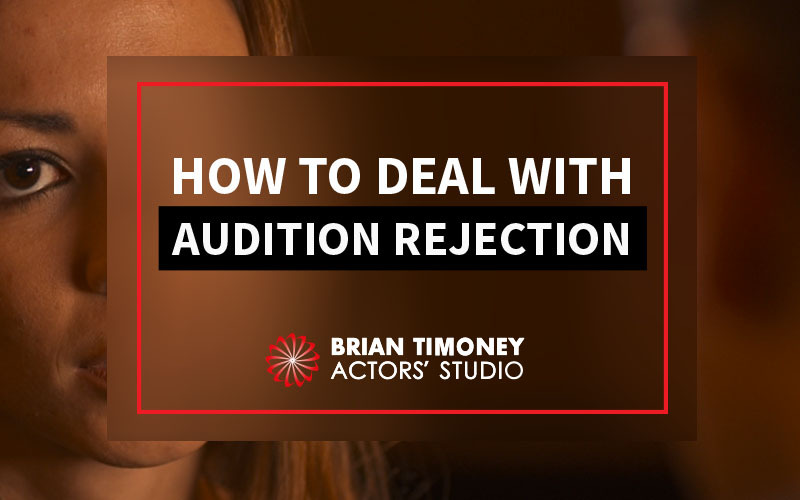 In fact, audition rejection can be a very important learning tool, particularly when you’re just starting out and can be vital for your professional development. Ultimately casting directors are going to choose the actor best suited for the role, and if that isn’t you, you have to remain positive and keep trying. There are good ways and bad ways to deal with audition rejection, and as a newcomer, one of the best things you can do is learn how to be graceful about it. It is important to remember that show business is a business and those in it depend on their work to make a living – the same as in every other industry. Audition rejection is a part of this: if you aren’t cast then there will be someone more suited to the role who is. Good casting means a higher chance of a successful production and a good payday for those involved. It’s not something to be upset about- it’s just business. That, of course, doesn’t mean to say that acting is not still an artform and those going for roles don’t care about being rejected. It can be upsetting to miss out on a desirable role, and there are some great do’s and don’ts you can follow to help you deal with it like a professional. However much you rationalise it – rejection feels bad, whatever form it takes. Internalising your disappointment and sadness will only lead to feelings of worthlessness, so it’s best not to try and dwell on it for too long. Talk to those around you about how you feel, cry if you need to, go on a fun night out. Express your emotion and give yourself the chance to move on and get over it. Just because you didn’t get a call-back doesn’t mean you gave a terrible audition. If you thought it went well but have been rejected from the process it might feel confusing and upsetting. In that case, it’s probably just as simple as you weren’t what they were looking for. They might be looking for someone who is, say, slightly taller, or maybe gave a better accent or was just a different type of actor. Throwing a tantrum and verbally abusing the casting director will get you in hot water very quickly. At the end of the day they are in charge and they get to make the decision. Demanding a re-read or openly criticising their choice will not only cement their decision not to cast you, but will also make them increasingly unlikely to cast you in anything in the future. Keep your cool, remain professional and don’t lose your temper, failing to do so could end your career before it’s even started! Self-pity can get the best of all of us sometimes, but letting rejection affect the way you feel about yourself and your chosen career is not a path you want to go down. If you feel like you’re consistently facing rejection and are often told that you aren’t good enough, there are other options aside from giving up entirely. You can invest in some professional training and acting courses to get your skills back on track or give yourself a short break to assess your goals and career aspirations. If you’ve chosen to become a professional actor that means you’ve invested time, money and energy, so it’s important you keep trying despite how difficult it may get sometimes. Audition rejection is a universal ailment amongst actors that everyone has gone through at some point. It’s only by staying resolute and refusing to give up that you can finally get through to the other side. After each audition try to think of three things you did that were positive. Whether that was getting a compliment on the particularly powerful delivery of a line, a confidently delivered slate or mastering a difficult verse. Congratulate yourself – they are all achievements that show how well you’re developing in your audition technique. Being rejected after an audition feels bad, so why not turn some of that disappointment into determination never to let it happen again? Build yourself up, and put all of that energy into working towards your next audition. If you want to make the casting director feel like they should have chosen you – make it happen! Blow everyone in your next audition room away and make them wish they’d realised how great you are! Not getting a part can leave you feeling down and depressed. Do yourself a favour and make sure you have plans to meet friends or do something after an audition. It’s hard to dwell on disappointment if you go straight from the audition room to a trendy restaurant or art gallery with friends or a partner to distract you. While it’s important to keep your motivation up and move on after an audition, it is crucial that you make sure you take some time to analyse it. Whether you believe it was your fault or not that you missed out on the part, you will never be able to improve as an actor if you don’t look over your work and find points for improvement. Even if it went well, just as you should make notes on positive points, make a list of negative points, or things that you believe could have gone better. It may be tough at the time, but it’s only by realising your weakest points that you can work on them and turn them into strengths. Harsh? Maybe, but the truth is, audition rejection happens for a reason, and most of the time there is something you can get out of it. Whether that’s learning a few things you might need to improve on in your performance, or realising that you need to aim for slightly different roles, there’s a good chance that whether you get the part or not- there’s always going to be a benefit to your time in the audition room. Sometimes you need to face audition rejection to fully realise what you’re doing right – and what you’re not. Thinking of it as a learning experience is the best way to deal with being turned down for a role. Taking some time to think about what you could do better next time will ensure you continue to develop as an actor and increase your level of professionalism. 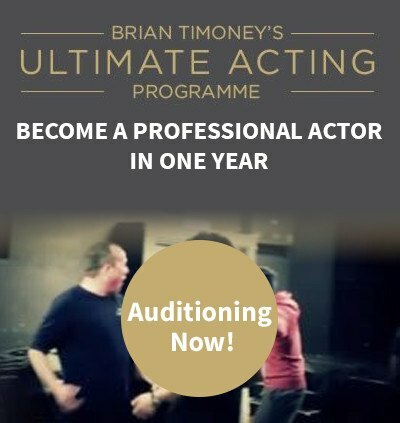 You can learn more about giving a great audition and navigating the acting industry in my Ultimate Acting Programme. If you find yourself frustrated and lost in your career, or want to realise your dream of becoming an actor for the first time, our world class acting training could be just the thing to give you the break you’ve been waiting for and equip you with the skills you need to ace those auditions.